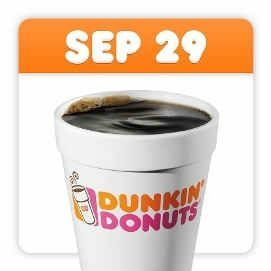 National Coffee Day is Sunday, September 29, and Dunkin’ Donuts is ready to celebrate one of our favorite days of the year with our fantastic fans around the country. We have many fun and exciting announcements and offers planned to keep our guests running during this holiday. On September 29, we’re treating our guests to a FREE small hot or iced Dunkin’ Donuts coffee at participating DD restaurants throughout the United States. 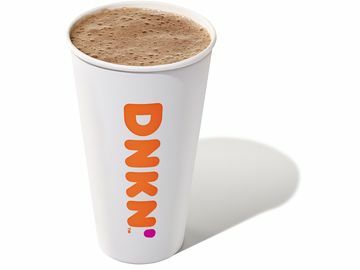 The offer is available and redeemable only on National Coffee Day through the “My Offers” tab of the Dunkin’ Mobile® App, which is available for both iPhone® and Android™ mobile devices. 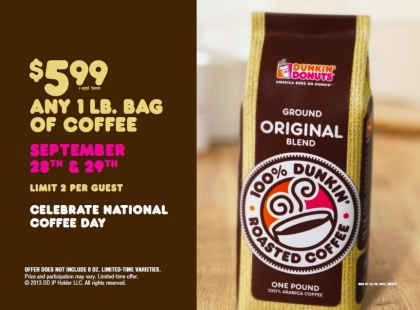 We have also brewed a big opportunity for guests to bring home Dunkin’ Donuts’ famous coffee for National Coffee Day at a discounted price. 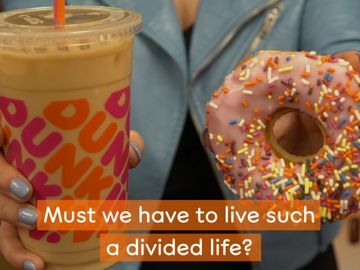 On September 28 and 29, Dunkin’ Donuts’ 16-ounce packaged coffee is available for only $5.99 at participating Dunkin’ Donuts restaurants nationwide while supplies last, with a limit of two per guest. This packaged coffee offer is also available online at the Dunkin’ Donuts Online Shop (plus applicable tax and shipping costs). At the time of checkout, use coupon code 1BAG when purchasing one 16-ounce bag of packaged coffee and use coupon code 2BAG when purchasing two 16-ounce bags of packaged coffee. Available in favorite flavors such as Original Blend, Dunkin’ Decaf® and French Vanilla, Dunkin’ Donuts’ packaged coffee is a great way to enjoy the taste of fresh Dunkin’ Donuts coffee at home. We’re also treating our guests to another wonderful offer with our Dunkin’ Donuts K-Cup® packs. On September 28 and 29, guests can purchase Dunkin’ Donuts K-Cup® packs at a special price of $7.99 for a 14-count box. 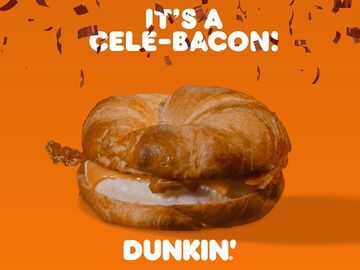 The offer is available at participating Dunkin’ Donuts restaurants nationwide while supplies last, with a limit of two per guest. Dunkin’ K-Cup® packs, for use with Keurig® K-Cup® brewers, are sold exclusively at participating Dunkin’ Donuts restaurants and are offered in five popular flavors, including Original Blend, Dunkin’ Decaf®, French Vanilla, Hazelnut and Dunkin’ Dark® Roast. • Our free coffee offer is only valid on Sunday, September 29 and available and redeemable only through the Dunkin’ Mobile® App. • Our Dunkin’ K-Cup® packs are only sold at participating Dunkin’ Donuts restaurants nationwide. Check out our restaurant locator or our “Find A Dunkin’” feature on the Dunkin’ Mobile® App to find your closest Dunkin’ that carries them. • Remember that Dunkin’ Donuts store hours vary by location, so look them up with our restaurant locator before you stop by. You can also use the “Find A Dunkin’” feature on our Dunkin’ Mobile® App to locate your nearest DD and get all the details on that location. • Be sure to check our social media accounts, Facebook, Twitter, Instagram and Vine, and our blog “Behind the Beans” for the latest updates so you can celebrate National Coffee Day with us! Calling all Dunkin’ Donuts coffee fans around the world! 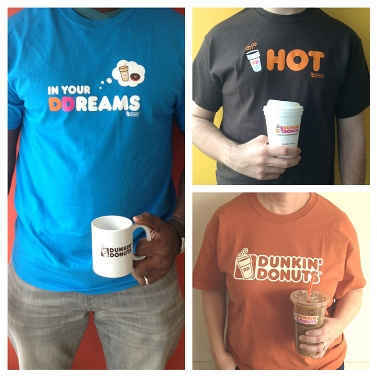 You now have the opportunity to show your love for our coffee and help design the next Dunkin’ Donuts T-shirt. 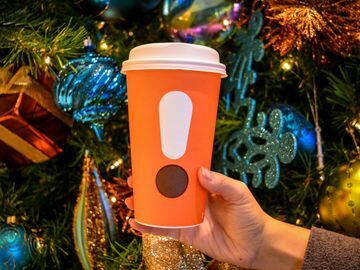 In honor of National Coffee Day and International Coffee Day on Sunday, September 29, Dunkin’ Donuts and Threadless have partnered to launch the first-ever Dunkin’ Donuts-themed global T-shirt design challenge. The challenge kicks-off September 27 and continues through October 17. Dunkin’ fans anywhere in the world can visit the Dunkin’ Donuts Design Challenge page onThreadless.com to learn more about this opportunity to design a T-shirt inspired by their love of Dunkin’ Donuts coffee. Are you excited for National Coffee Day? 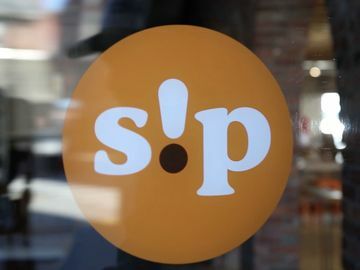 Tell us on Facebook and Twitter!